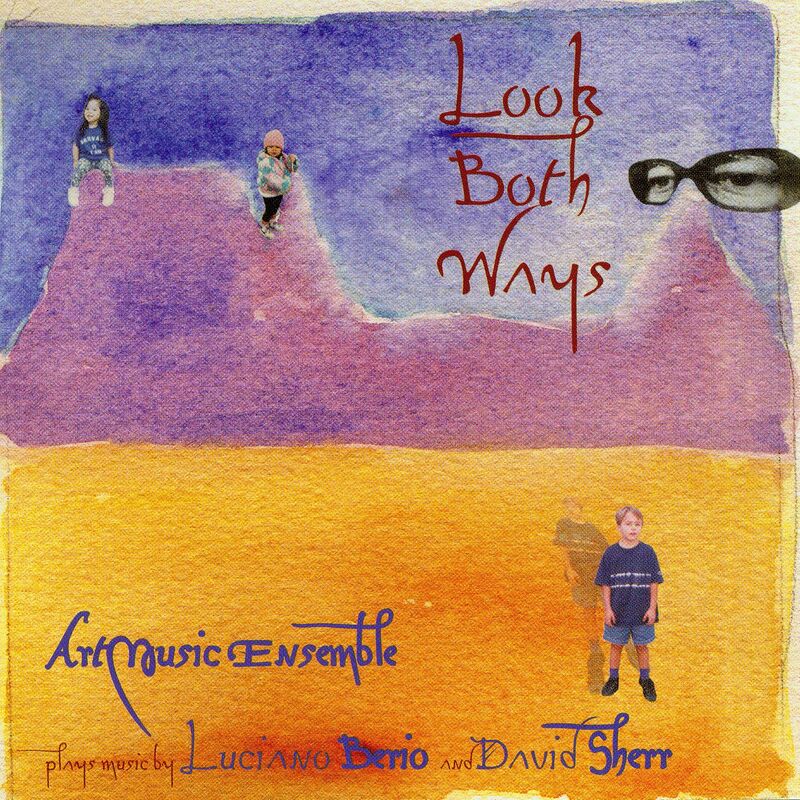 Chamber music and jazz intersect in Look Both Ways, the first cd by Los Angeles-based ArtMusic Ensemble. Featured are three of Luciano Berio’s landmark Sequenzas, 20th Century masterpieces for solo flute, oboe and clarinet, all given definitive performances by the ensemble’s leader, David Sherr. There are also four of Sherr’s compositions, two of them based on material from the Sequenzas. Debussy-Deb-You-Do is a set of variations, written and improvised, for two ensembles. The thematic material is derived from Sequenzas I and IXa. Palimpsest is an accompaniment to Sequenza VII, also for two ensembles, also written and improvised. Sax Lines And Audio Tape, and In The Pocketa Pocketa are jazz pieces based on tone rows. Look Both Ways is 21st Century chamber music brilliantly performed by the ArtMusic Ensemble, featuring some of California’s hottest players. "Show us a recording that takes its inspiration from Luciano Berio's Sequenzas and the first 13 notes of Charlie Parker's riff on "The Song is You" and we'll show you an album that we flat-out love. These guys seriously cook!" These performances alone are worth whatever it takes to obtain this CD. Add to that, however, David Sherr's exciting first class performance on alto saxophone in the first movement of his own jazz suite The Secret Life of Walter MIDI, and you have the complete picture. As seems to be Sherr's interest, he extracts from unlikely sources something as near to a twelve-tone series and moulds it into a wonderfully flexible composition. The first movement Sax Lines and Audio Tape takes the first thirteen notes of Charlie Parker's solo of Kern-Hammerstein's The Song is You and makes fascinating music. Later are heard superb solos from Brian Swartz on trumpet and Shelley Berg on piano. The third movement of the suite, In The Pocketa Pocketa is made out of lines from Mozart's 40th Symphony.